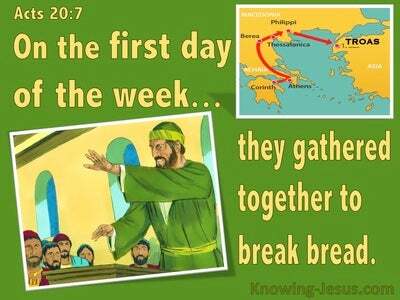 What Does Genesis 17:1 Mean? 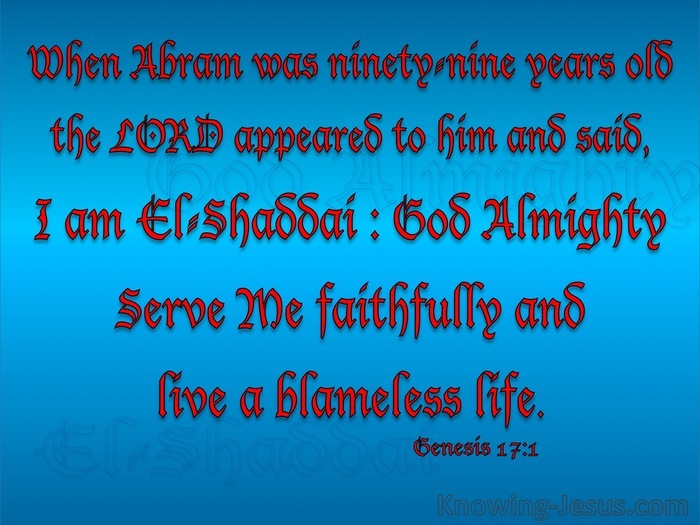 When Abram was ninety-nine years old, the LORD appeared to him and said, "I am God Almighty; serve me faithfully and live a blameless life. Little by little throughout scripture God gently and gradually unveils His gracious character and His eternal attributes, first to one person and then to another. 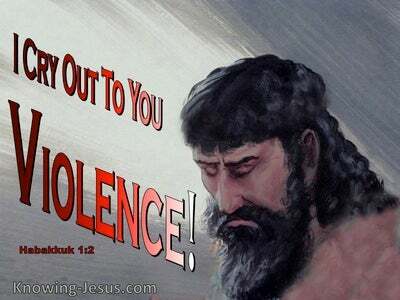 To David God proved Himself to be his Shepherd. To Hagar God was revealed as the all-seeing One. He became a Banner and Standard to the wandering Israelites in the wilderness and He became Peace to the fearful, frightened Gideon. There was one occasion when the Lord revealed Himself to Abraham as his Provider, but in this unique and touching episode, God showed Himself to the aged Abraham as: Almighty God (El-Shaddai). The word 'EL' signified the strength and power of the great Creator EL-ohim, but Shadai additionally speaks of the tender nourishment; gentle reassurance and the provision of strength that a tiny babe derives from the comforting breast of his mother. Less weight has been placed on the true meaning of the nourishing nature of the word ‘Shadai’ in this astonishing revelation of God, for 'EL' adequately speaks of His tremendous work of creation and His mighty power as displayed during the great deluge of Noah's day - or His majesty and strength as further exhibited in the tremendous plagues that ravaged Egypt's fertile plain. 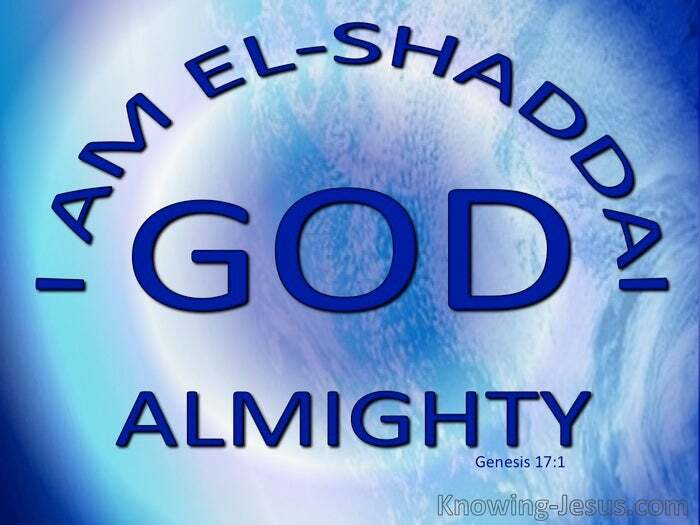 And yet the name, ‘El Shadai’, identifies our heavenly Father as the all sufficient God. 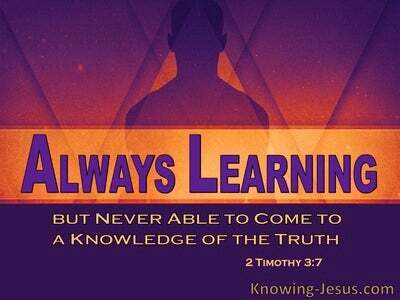 Abraham had been promised the Seed through whom all the families of the earth were to be blessed, but his advanced years appeared to contradict God's former Word. It seemed impossible that the 90-year-old Sarah and her 100 year old husband could parent a child and yet in this gracious encounter God reveals Himself to Abraham as the All-Sufficient God - as He gently chides His doubting child while giving ample reassurance that His Word is true and will be fulfilled in His time and His way. And as it was with Abraham, so it is with all of God's people. 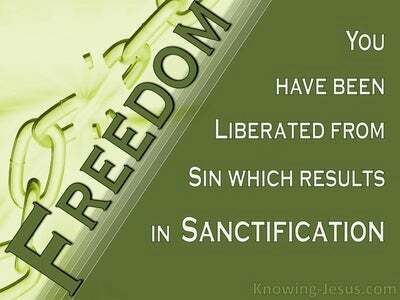 The All-sufficiency of God enriches, empowers and provides for all God's people. He nourishes, multiplies and makes abundantly fruitful the Seed that He has planted in the heart of each of His children. And in the same way that He overshadowed and stirred the womb of the elderly Sarah, so God is able and willing to work His all sufficient grace in the lives of each of His children. If God has placed a Seed in your heart, never doubt that He is His All-sufficient to carry it through to its final delivery - for He Who started a good work in you has promised to bring it to completion, by transforming you into the likeness of the Indwelling Seed. Loving Father I recognise Your almighty power and great glory - for the heavens declare its truth and Christ proved it with outstretched arms on Calvary's cross. But You are also my great Provider for which I thank You. Your gracious provision is All-sufficient and I long to serve You faithfully and to live a blameless life before You, which is only possible as You provide the power through the Holy Spirit's work in me. Bring to fruitfulness the seed that You have planted in my heart. that I may live as You desire - this I ask in Jesus name, AMEN.